Published on March 13, 2015 in Personal Log. 1 Comment Tags: Dallas, GPS, lesson learned, running. 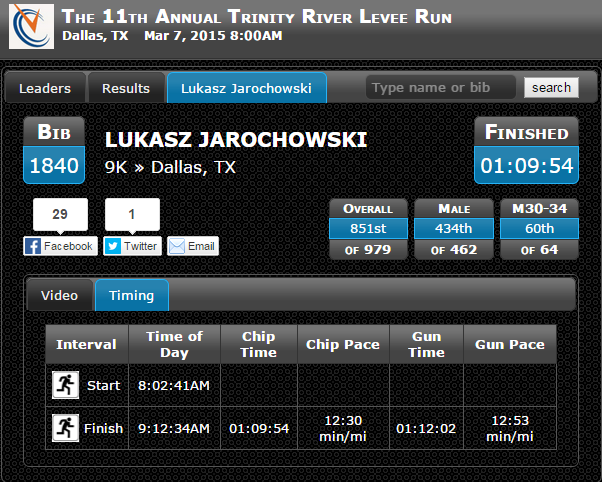 I ran my very first official race last weekend, the 11th Annual Trinity River Levee Run. Inspired by my 57-year old uncle who ran in the 2014 Chicago marathon, I accepted his challenging invitation to run in a race too. So, I started training for this Trinity race. Although I have been running since February 2014, I started training more seriously than ever as soon as I got home from Chicago in 2014. Using a Polar heart rate monitor, Runkeeper for tracking my progress, and Gipis for a suggested training plan, and later Steven Pressfield’s The War of Art for instilling self-motivation, I got to where I ran in this first race. The race was purely against me. I didn’t compare myself with other runners. I knew I wasn’t as serious about running as the serious runners are. I just wanted to see if I could make myself go out and run systematically and perhaps improve my pace. I think one thing the made the idea of running long distance seem possible to me was when my uncle explained the paradox that in order to learn to run far and fast, one must run slowly with a slow heart rate of no more then 150 beats per minute (bpm). This seemed very attainable because I knew that I could maintain such a pace for a long time, even if I were dragging myself at first through the distance. I am proud to say that since I got on the Gipis plan in November, I did not miss a single planned session except for a couple of weeks in early January when I was horribly ill with a cold, and then the very last session before the race because I feared heart problems after the previous session where likely due to lack of sleep, I think I overstressed my heart to where it fluttered longer than it ever had, not that it flutters often, to where it caused me to cough for a good 10 seconds. 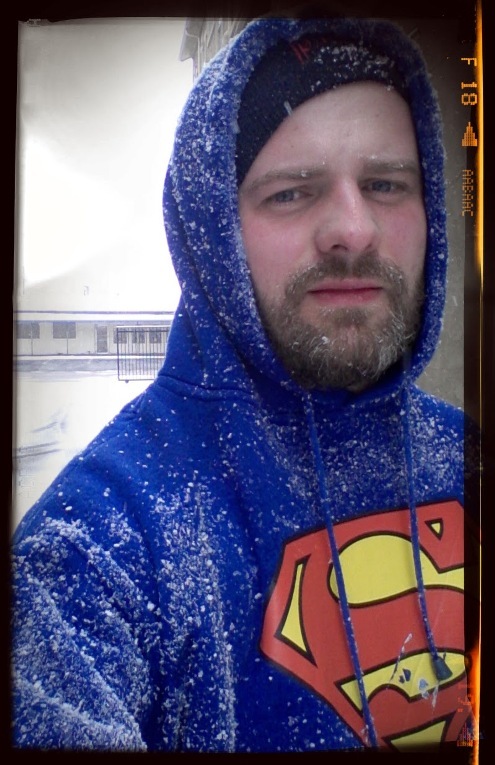 Other than that, not even snow precipitating stopped me. The night before the race, I attended a gong meditation session. If I had gone to sleep right after it, I probably would have slept enough, but I stayed up latter than I had planned. There also was a late e-mail stating that the course got altered due to impassable conditions caused by the recent wet and icy weather on the original route, so the race was fewer than 10 kilometers. By morning, I was still sleepy but when the alarm clock went off at 6:30, I did not hesitate to get up as I told myself, “I trained too hard to show up late for this.” I had a good breakfast of my usual daily Lukasz Goulash, a cereal of Barbara’s Shredded Wheat, Fiber One, some Flax Seed mix from Sam’s, honey, over a generous amount of blueberries, and milk. I put the running bib on my shirt, packed a change of clothes in case I wanted to stay longer at the festival surrounding the run, strapped on my heart rate monitor. I couldn’t find the gloves I wanted to wear during the race protect my hands from the cold 0° C weather, so I got my nicer leather gloves instead and went out the door about 20 minutes later than I had planned, which was still over 40 minutes before the starting time, which was not a problem because I lived about 15 minutes from the starting line. The drive to the race was a little discouraging because my GPS kept directing me to go over the Margaret Hunt bridge that was closed off for the race, so that made me loop around a few blocks a couple of times before I finally got myself on the street I needed to be. I should have paid closer attention to the driving directions provided in the e-mail from the race organizers. At this point, parking was very full, and I had to park about half a mile away from the starting line. It was 7:50 by the time I left my car to head towards the starting line. I wasn’t completely certain where I was supposed to be, so I ran in the general direction of the starting line. It was cold, so I thought it would be a nice warm-up to jog; however, probably due to my stress due to cutting so close to the start time, my heart rate was already around 170 bpm, so that was disheartening. Once I got to the starting area, I saw a lot of runners not even close to the starting line. I recalled that there was a sprint across the 400m bridge that was to occur prior to the race, so I was under the impression that was the first event, which it probably was, except it happened at 7:45, not 8:00, like I misunderstood. I also didn’t quite understand whether the 5k race was to start at the same starting line as the 10k race for which I signed up, so I stood back from the starting line. The fire department was to have a fire truck sound its siren instead of a starting gun, but the truck was not ready and there was no siren sound at the start of the race, and meanwhile, I am still about 50m away from the starting line. All of sudden, I heard the announcer say something like, “…you don’t just get up in the one day and run six miles. You train for this,” which is when I figured out the 10k already started. So, I ran up to the starting line and just ran through it while I started recording with my heart rate monitor and set my phone to start recording Runkeeper data. To my disappointment, my heart rate was already over 165, sometimes around 172, which I worried was way too high to finish the race. Fortunately, the race started on a downhill slope. I wasn’t sure what to make of the entire crowd far ahead of me, so I just focused on my pace because as it turned out, the crowd meant nothing since each person is measured individually based on personal start time. I didn’t socialize with anyone during the race, though it seemed like almost everyone around me was socializing. After the first kilometer, I had to pee. I hoped there would be porta-potties on the route, but there weren’t any. Some well trained runners passed me who I overheard talking to other runners that they had started late due to a late arrival, so apparently, it’s not a huge deal to start late. The morning was beautiful, with the sun shining through haze over the water grassy river banks, and the air was brisk. I felt a little cold at the start, but I was warm by the third kilometer. By the fourth kilometer, I took my gloves off and held them in my hand. There were race marshals directing traffic for folks who ran the 10k to separate them from the 5k runners on the same path, so one had to pay attention to instructions while running. The altered part of the route was on a service road that was rather scenically boring, running along a levee with no view of the river and some unattractive houses flanking the other side. I ended up running very near a lady who must have been in her seventies who ran at my pace. Or, maybe I should say, “I ran at her pace,” since she’s been alive longer than me. I wanted to tell her “good job,” but I chose to stick to my code of silence during this race. I could tell she was in a little bit of pain as she had a hobble and hunched. I kept checking my heart rate as I ran beside her, and my rate was too high to accelerate my pace, so I paced myself with this lady for probably three kilometers. Eventually, she slowed down or traffic on the trail just kind of forced me to navigate with acceleration, so I left her behind and didn’t see her again. I hope she did well because I was proud of her. As I ran past near the starting line and vendors, there were finished runners standing on the route obstructing the running path, which I thought was both, highly inconsiderate and poorly organized to allow that to happen. There still were no bathrooms that I noticed, so I kept going; however, in actually I had run past them at that moment. I had put my gloves in my pocket, and eventually one fell out of my pocket without me noticing. As I ran past a trash can after I had noticed I was missing a glove, I threw away the other glove. I liked those gloves, but I urged myself into detaching from this material item, the glove, whose weight was only going to slow me down henceforth and obviously had very little value without its mate. I needed a good excuse to get new leather gloves because these caused a rash on my hands to break out a little bit from some dander to which I am allergic to in these gloves that were getting old. This was the best excuse to get rid of them that I could think of. By the eighth kilometer, the traffic was very sparse. I stopped a couple of times to stretch briefly and retie my shoes. After the last turn which put us onto the dramatic crossing of the Margaret Hunt Bridge, I started to feel my achievement. My heart rate was over 180 by this time since I just completed climbing and onramp. There were several families walking five or seven people wide obstructing passage as they were part of the simultaneous charity walk. I did my best to navigate around them but loosing some time. At one point, I stopped feeling my body. It felt like I was running on a cloud without any pain. I checked my heart rate monitor to see if that affected anything, but it did not. I simply could not feel pain or fatigue, but my body was clearly working very hard. After about 30 second of this sensation, I felt my body again. I took in a little bit of the beautiful architecture as I ran under the suspension structure of the bridge since I felt I deserved to take in the moment. I thought through my achievement: I made it this far by myself. No one told me to run. No one would get upset if I didn’t run or missed a training session. No one was there to hold my car keys or ID. There weren’t any self-organized cheering sections for anyone really, not like what I saw in Chicago, mile after mile of people cheering on strangers as they looked for their loved ones. At that time I didn’t know how many cumulative miles I had run since February 2014 or October 2014 as I don’t think about things like that, but I knew I had run further than I had ever run in my life before. Then, with fewer than 200 meters remaining, I dashed sprinting for the finish line. My heart rate monitor displayed “out of zone” as I maxed out at 198 bpm. Crossing the line was very anti-climactic. Folks there were there for other people. There were no race organizers to tell me where to go after that. There was no place to sit that I could find. I finally found some water and free bananas. I used the bathroom, and then listened to the band play Beatles songs, which made me think of how I play those songs in a band back in Tulsa. They sounded slightly better than we do, so that means for professionals at a major city event, they sounded like the Beatle songs were too difficult for them. According to my Runkeeper data, I had run 9.16km at 1:10:20 with an average HR of 170. I achieved three new records: Distance, Duration, and Calories Burned. I stuck around the festival in case I saw someone I knew for the ‘yoga on bridge thing’ that was to happen later, or just to see who I would run into. I didn’t meet anybody. Only the RFID readers at the starting and finish lines knew that it and my bib with its RFID chip and I had crossed the starting and finish lines. I walked back to my car with soreness starting to settle in my tendons around my knee caps. There was a Saturday flea market near where I parked, so someone followed me to my car in her car to take my spot. Then, I drove home to rest, showered, and then I went to my favorite Sound Meditation class at noon, after which I went to see the new film Chappie in IMAX. Later I checked online for my official time, which was 01:09:54 for a 9km. Those 9 or 10 kilometers to the race were actually part of a long road for me to get there. They really were just the final stretch, less than 1%, of a much larger undertaking. To get to the finish line with these stats, including the race, I have ran 210 miles or 338 km since I started using Runkeeper in April 2014, not including hikes or walking. Since my pivotal trip to Chicago for the marathon, I have run 116 miles or 187 km. In 2015 alone, I have run 55 miles or 88 km. All these numbers mean is that it has been a long road. This experience has taught me that I can do great things on my own. Published on December 8, 2014 in Restaurants. 0 Comments Tags: chicken sandwich, exploration, Ft. Worth, Little Red Wasp, TRE. I visited the Little Red Wasp yesterday as part of an excursion to Ft. Worth. Since I took the TRE from Dallas and got off at Ft. Worth’s Intermodal Transportation Centerstation, The Little Red Wasp was one of the closest establishments to the station that I wanted to try. I had the Crispy Chicken sandwich, which is just like the menu states, a sandwich that requires a knife and fork to eat. The sandwich was a spicy breaded fried chicken breast on a sub roll stacked with a spicy coleslaw that had jalapenos. It came with a side of chips. The sandwich was taller than it was wide, and it had a 6 inch stick going through each half just to keep the sandwich from falling apart. The coleslaw was the spiciest slaw that I’ve ever eaten. Removing a few of the jalapenos helped calm down the heat, but just the creamy addressing alone had a reddish color to it that probably contained in part the source of the heat. After having ordered the appetizer of chips and ranch dip, which was very good, I could not finish the second half of my sandwich. I enjoyed the leftover half the next day for dinner. The chips were potatoes chips that are made there, hot and greasy, and the dip was ranch dip that tasted extremely fresh. The beer selection on tap was limited to about six beers, but the selection was excellent. The waiter gave me a nice little cardboard box that folded close to put my leftovers in, but that solution did not work out carrying it in my backpack. So, I received one of those quasi-disposable plastic tupperware boxes that they use for carry-out orders, and that worked out great, especially considering it squashed some of my sandwich down, which the staff verified is normal procedure for this sandwich, and that kept my sandwich together during transport. I was happy. I’d definitely come back again, but first I’ll explore the rest of Ft. Worth some more. Published on December 6, 2014 in Movies. 0 Comments Tags: adventure, Dystopian, Sci-Fi, Young Adult. 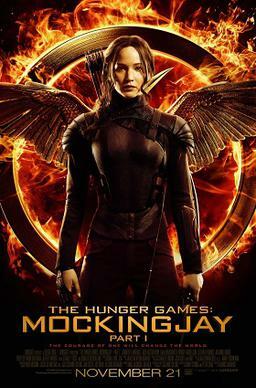 A couple weeks ago, I saw The Hunger Games: Mockingjay, Part 1 at the movie theater on opening night. I went because it was a date, and I may brag that I was a thoughtful date because I bought the tickets several days in advance, which at this theater made a difference because seats are assigned. I locked in a great pair of almost center seat. Being a sound geek, I always want to sit in the center to get the best sound stage perspective, aka sweet spot. The production on this film was great, as I would always expect of a film of this caliber. The Hunger Games series attracts a crowd younger than me, but overall it is a pretty good franchise because kind of like the 1990s TV show La Femme Nikita, it depicts the struggle between being oneself and trying to sustain that while an oppressor tries to take that from you. That concept probably is universal because in almost every culture people imagine a life they dream of and actually live a different life. That struggle to close that gap between the two is relatable to everyone with a pulse, and that struggle is probably one of the closest examples to essence of what it means to be human. So, considering the target audience of this franchise, I was quite surprised how dark and traumatic this film was, spanning the realities of war to severe mental illness. Basically, the entire film takes place in an underground city built inside of a bunker designed to withstand heavy bombing. In one scene where the bombing actually begins to take place, I was pleasantly surprised and equally yet appropriately disturbed that when all of the citizens were rushed down into the bomb shelters, we could hear the screaming of all of the citizens during each explosion. It really made me think that this is reality for many people in the world today, regardless of who is foe or friend. People experience this fear all the same when a bomb rumbles the very ground and roof of your personal space, and yet we do that to each other. Fortunately, I’ve never had to experience that. I really like how openly the characters discuss the creation and staging of propaganda. It almost feels satirical or educational in comparison to what happens on our news outlets today. All of the characters show development in this series from the previous installments. It almost feels like that while Katnis, the main protagonist played by Jenifer Lawrence, hangs on to her identity the best she can, the other characters around her also begin to get more in touch with their own true identities. I’m not a great critic of acting, but I’ve been told that one of the most difficult things to act is to act like if you’re acting. In the first act of the film, Katnis is asked to act in a propaganda clip where she delivers lines in various rigid ways, like one would expect from an under privileged girl of a coal miner who has no acting training or experience. It was fun and painful to watch Jennifer Lawrence deliver this, and that’s what made it seem so good. Perhaps this installment is like a well written children’s show, lots of fun on the outside with fairly important messages underneath that a wise parent could bring up at the dinner table to make a lesson or two on life. In conclusion, this film and series isn’t for everyone to indulge in, but most folks can find something to take away from this. Published on December 5, 2014 in Philosophy. 0 Comments Tags: leadership, TEDTalk. I always love a good TED Talk, and although this one is a little short on enthusiasm and flare, the message here is worth hearing, especially if you work in a group environment or organization of any size. What makes a good leader is something that has interested me ever since I reported to leaders. One thing that is well pointed out in this speech is that leadership is not the same thing as authority. Simon Sinek states in this presentation that is is possible to be the highest rank of authority and not be a leader at all, and it’s also possible to be in the lowest ranks with no authority and be the true leader of the group. A good leader makes you feel safe, and that doesn’t only make good logical sense, it is biological. It is in our cells. The leader is key to a group because “the leader sets the tone.” Good leaders grow the group. They nurture, educate, encourage, and build confidence within the group’s individuals. I don’t know if I agree with the one organization that Simon Sinek uses as an example where the never fire anyone for performance because I’ve worked for an organization like that, but I guess this organization only hires people who are really passionate about the field. This was an enlightening presentation. Today I had an interaction on social media with the Dallas Police Department. I kind of know social media, but I’m no expert. As companies spring up specializing in the art of social media, I learn something new each time I read about their recommendations. I seem to keep getting more and more Twitter followers without much effort on my part. My account, now @Loogle, has been around August 2009, and now I have 112 followers who many of which recently I think are trying to get me to follow them back. I haven’t quite learned the ropes of Twitter, and I used not feel like using it much mostly because I don’t like the completely open publicity of it, and because I never got much interaction back from others, besides this recent increase in followers. However, I think I’m starting to get a better idea about it, and that one piece of advice is like the recommendations I’ve read to popularize one’s blog: comment on other posts. So today, to be fun, which is sometimes a novel concept for me as a first born, I decided to reply to the Dallas Police Department’s comical tweet about wanting an Apache helicopter for its air division. @Loogle_ you help fund it I bet we can figure something out! This was probably one of the richest conversations I’ve had on Twitter so far, and I think I’ll engage more often. This Facebook post by George Takei today inspired me to sort of run my mouth on Twitter. Some of these tweet exchanges between customers and corporations are hilarious. Published on November 14, 2014 in Personal Log. 0 Comments Tags: BOINC, charity, computers, distributive computer. With the cold weather upon us here in Dallas, I like to turn some typical heat sources around the house into contributing to heat generation. The typical cooking and baking is rather common knowledge as a method to assist with heating, and I always enjoy leaving a hot cooling oven ajar to heat up the house. However, one source that many folks may not consider are home computers. When computers run at 100% computing capacity, they give off quite a bit of heat, enough so that during the hot southern summers, I stop doing what I’m about to start doing now during cold months because it gives off so much heat that an air-conditioner on a hot day cannot easily keep up. I participate in distributive computing using BOINC, Berkeley Open Infrastructure for Network Computing, a system that allows individuals to donate free CPU cycles to a worthy cause. I donate free CPU cycles to several projects but mainly to SETI@home and Cosmology@home, but there are many projects within many fields of study to choose. So, yes, I help search for aliens. When I get all of my computers running at 100%, it causes the computers to blow out heat, as well as, typically turn up their fan speeds to help, which is unfortunately a more noisy. As a result, the room is warm, and I get to assist with research. I run this on my Windows machines, on a Debian Linux box, and I want to try to run it on my Android phone. Published on November 5, 2014 in Movies. 0 Comments Tags: Action, Dystopian, mystery, Sci-Fi. Last week I went to see the film adaptation of the book by James Dashner The Maze Runner. Having gone with someone who has already read the book, I received great insight. Overall I enjoyed the movie very much and would see it again. This film is a young-adult post-apocalyptic science-fiction story where boys are deposited into a community surrounded by a colossal maze after having their memories erased. The only way out of this community is through the maze. As I suspected in comparison to the book with this movie just shy of 2 hours in length, the film wastes a lot of time in the opening act due to a poor attempt to build curiosity in the viewer about the story by basically prolonging a question and answer sequence that explains the setting. A major drawback in this film adaptation is that none of the relationships were developed. It literally left the audience feeling that there is no investment between the individual characters. As the story progressed, it truly explored very interesting symbols that represent life on many different levels. 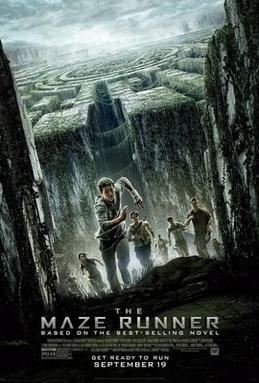 The sheer concept of running through maze, for example, is not dissimilar to the analogy of life for the common person is a “rat race.” How the boys built a society shows insight to the individual psychology of each boy because three years before the story begins there was only one boy who got dropped into the green glade that becomes the home base from which the boys try to run the maze. The boys established a democracy but where a hierarchy was respected. The hierarchy was segregated into functional areas, and a person from one functional area did not have direct influence over another functional area, including superiors, which was set by seniority. However, it was evident that the longer a boy was in the community, the less malleable his mind was. As soon as the main character Thomas arrived to the scene, he immediately started thinking about how to get out of the community, and this drove the whole story. The creator of the maze and all evil things within it is the omniscient antagonist that has put all the boys into the glade, as well as, delivered any supplies over the course of the years. There is a stark contrast between Thomas and the leader of the boys who has simply accepted that life will always be as it is. Overall, it is not a movie that keeps giving over and over each time it is watched, but at least a few viewings could deliver some entertainment and discussions.